Pressure Washing Services | Johnson Pressure Wash, Inc.
Johnson Pressure Wash, Inc. has years of experience in residential pressure washing services. No matter the size of your home and the type of exterior, our pressure washing service is safe and environmentally friendly. Call Johnson Pressure Wash, Inc. today to receive a FREE initial estimate on our pressure washing service! Our business can also pressure wash apartment complexes, sidewalks and much more exterior areas on your residential property! The exterior of your business is very important, not just to you as a business owner, but it is important to your customers. Your customers will choose to come in to your business based on the exterior of your building. To help make your business more attractive to customers, Johnson Pressure Wash, Inc. can clean up your business and make it shine like new again! Call today for a FREE estimate! No matter what type of exterior your home or business has, our team of professional pressure washers can pressure wash brick, concrete, fences and more! Call Johnson Pressure Wash, Inc. today to make your home and business shine like new again! To keep your construction equipment clean and well maintained, the pressure washing professionals at Johnson Pressure Washing can do the job! 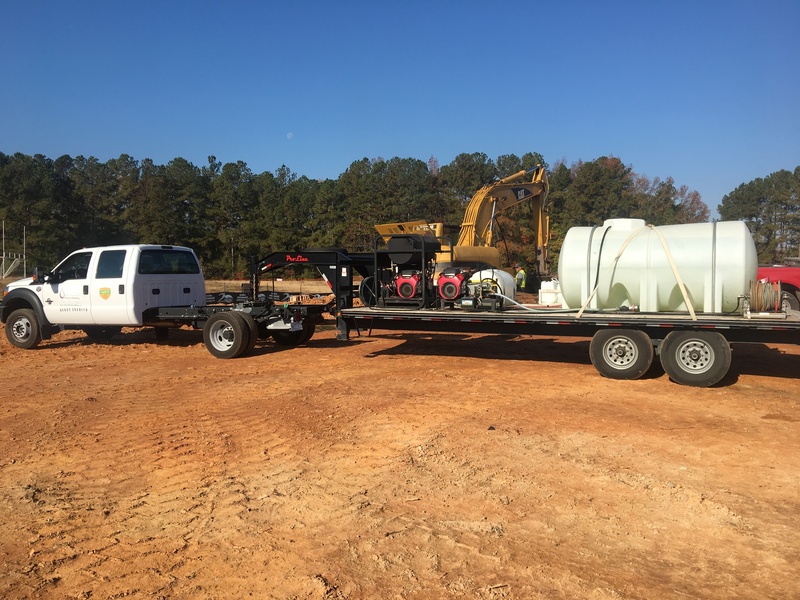 Our team can show up to your construction site or business and pressure wash heavy equipment used for construction projects. Call Johnson Pressure Wash, Inc. today for quality heavy equipment pressure washing service! For homeowners and business owners who have decks and outdoor patios, let your family and customers enjoy being outside with a clean deck and patio. To get them clean and looking new again, Johnson Pressure Wash, Inc. can provide our pressure cleaning services and let the water do the work! Call today!